This weeks guest post comes from Dr Inger Mewburn who is a Research Fellow at RMIT University in Australia. Inger does research on research education and writes about it. Follow her on twitter and don’t forget to visit her blog The Thesis Whisperer. I’ve been working in the research education field for some six years and continue to be surprised by the passive attitude of many students to publishing. Some seem actively scared of the process, or set their sights on lower ranked journals and conferences, perhaps because they are afraid of rejection. I think part of the problem is that students are not coached on developing a publishing strategy. A clear publishing strategy will help you get the most out of your study time and kick start your post doctoral career. 1) One of the ways in which examiners determine the quality of PhD is the extent to which it is publishable. If parts of the PhD have already been published this will give you some confidence about the outcome of the examination process. 2) All scholars build their reputation on what others say about the quality of their work. In order for that to happen people have to discover your work in the first place. There’s so much information out there now the ‘attention economy’ is brutal: many people will only read the abstract of most papers and wont even do this if you aren’t publishing in journals they don’t read. All the points above speak to the importance of knowing where to publish in order to get the most impact and attention. This is where some knowledge of the way the academic publishing industry works and how it is affected by government policy settings is vital. This may sound as boring as eating dry toast, but bear with me. I’ll use Australia as an example, because it’s the system I know best and it’s similar enough to others that you can translate what I am saying into your own home context. The ‘Excellence in Research Australia’ (ERA) exercise has been run twice now by the Federal government. The ERA process attempts to evaluate the quality of academic publishing by examining the metrics generated by each of the universities. The universities tell the government how many publications they have produced in a range of predetermined government codes. The quality of the journals in which these publications appear is evaluated and the government gives the university a rank of 1 to 5 in that subject area code: 1 being poor, 3 being ‘world class’ and 5 being… super awesome I suppose. As a result of this process the Australian government has published a table ranking most of the available academic journals in the world from A* through to ‘so bad don’t bother’ (The table can be viewed here). As is the way of such things, numbers are attractive to all government policy makers – especially if someone else has spent a lot of time and money generating the data set. So it doesn’t surprise me to hear that other countries are beginning to use this ERA list for their own research evaluation processes. It’s worth having a look at this list and using it as a starting point to explore which journals you should target. 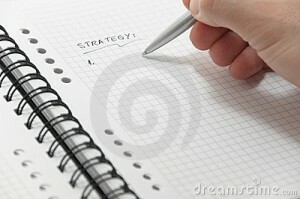 Notice how I say this journal list is a starting point – not the be all and end all of your strategising. There’s two reasonchange every time the list is redone and just because this list might indicate a journal is high quality, it doesn’t follow that everyone who is writing in your area will read it. In more obscure subject areas (like gesture, an area I like to publish in) the rankings don’t always echo the readership. This is why I recommend students put some time into examining the publishing records of seminal people in their field and examining the citation data. Google scholar and the data bases in any university libraries will give you a starting point. You don’t have to be a mad statistician to do this work either – you can just target one or two top people and use them as your model. The next step of the process is committing to a writing schedule of course, but that’s probably a topic for another time . Great article Dr Mewburn. Its a push in the right direction for researches who are yet to publish their study.